I am glad so many of you enjoyed my thoughts on Creativity and Excellence. And now, as promised, here are some of the things you can do to encourage creativity. These are things I do – things I practise. It is not a list of rules, it is a decision to learn and to grow and to make things – this is my life. I hope you will find some of these practices helpful. 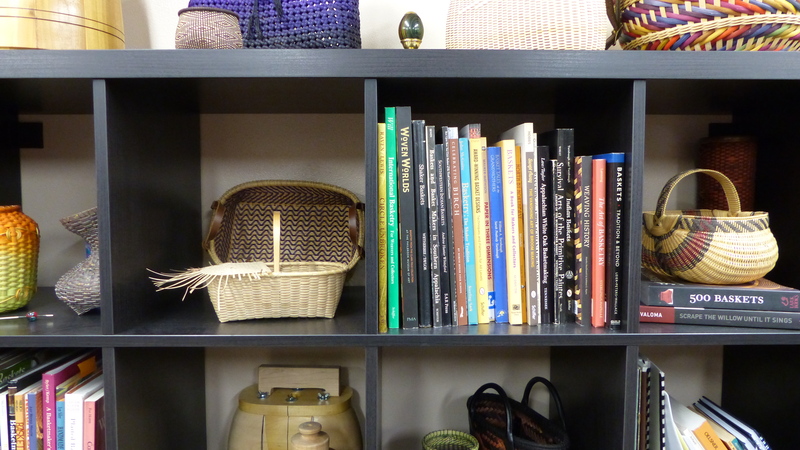 Surround yourself with books and patterns, your favorite baskets, art, color and just enough weaving material to make your hands itchy to weave. Books inspire me. A table with a project in process or reed in a variety of beautiful colors make me want to touch. Beautiful things make me smile. I have been thinking about this topic for a long time, years in fact. I believe that focusing on excellence, on developing and fine tuning our skills, encourages creativity. In my experience, a lifetime of making things, including twenty five years of basket weaving, I find the pursuit of excellence to be the key to creativity. This principle is also evident when you look at other artists and the progression of their work. Malcom Gladwell has made popular the idea that it takes 10,000 hours to master or become ‘good’ at something. That’s 10,000 hours of work! And the wicker basketmaker’s school in Lichtenfels, Germany (Staatliche Berufsfachschule für Flechtwerkgestaltung) has a three year basket weaving program. 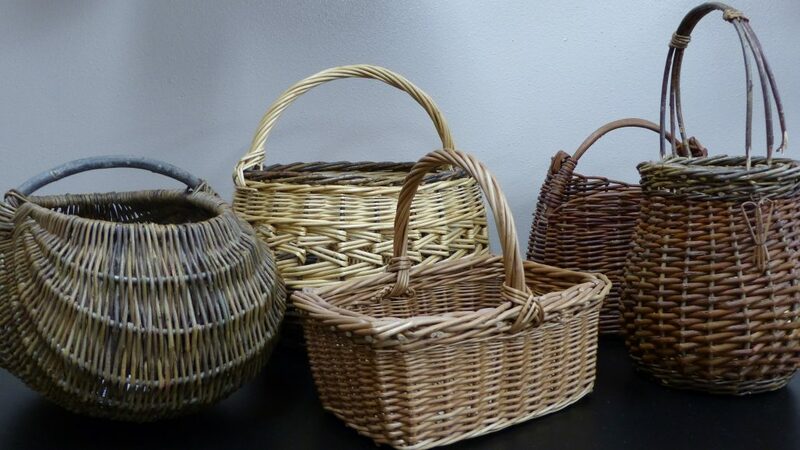 That’s right, willow weavers in Germany go to school full time for three years, after which time they graduate and begin their basket weaving careers as Wickerwork Designers.